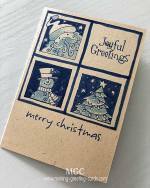 Make a Christmas card holder to display your handmade Christmas greeting card. 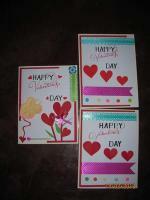 Here are two card holder designs that you can use. One is a card stand that you just print and cut out and it's ready to be used. The other is a cone shaped stand that needs glue or double-sided tape to assemble. 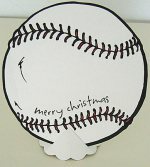 I created some of these to display my Christmas cards and I thought you might like to make some too. So I created two templates for you to download and print on card-stock. Download the Cone Shaped Card Holder Template. Print on card stock and cut out. You can use this as a template or cut the card holder design directly from the printout. For me I prefer to use this as a template in order to save the card stock. Make cuts on the the straight and V-shape lines. Use double-sided tape or glue on the dots. Overlap the flaps and glue. 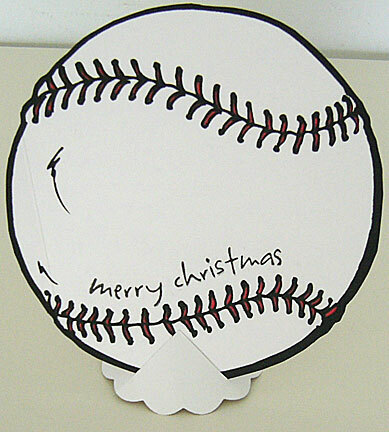 Insert your Christmas card into the V-shape slit to stand the card on the Christmas card holder. Here's another picture of this Holiday card holder. 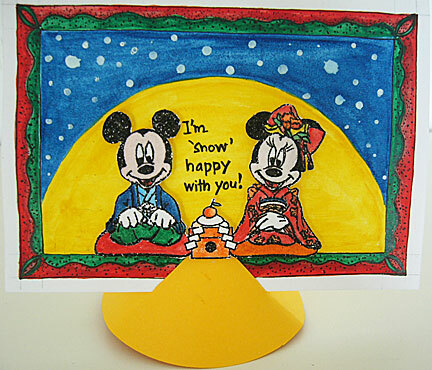 You can also decorate the Christmas card stand with rubber stamp images. 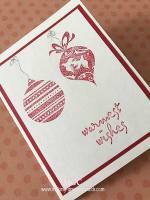 Just choose a Christmas rubber stamp and stamp over the cut-out before you apply glue or double-sided tape. Emboss and color. You can also cut out a rubber stamp image and use foam tape to stick to the front of the card holder. Valentine card holder ~ for your Happy Valentine card, create it plain white or red, add heart images all over. Trim one heart and use foam tape to adhere to the front of the stand just inside the upside-down V shape slit. Wedding card holder - stand your wedding invitation on the card holder to display it during the reception. Place card holder - make a holder for each place card at a party or dinner. Business card holder - to display your business card. Menu card holder - use this to stand your menu card at the dining table for a wedding, Christmas or birthday dinner. For the other Christmas card holder design, just click here to download the template. This is a simple card holder. The instructions is included in the template.